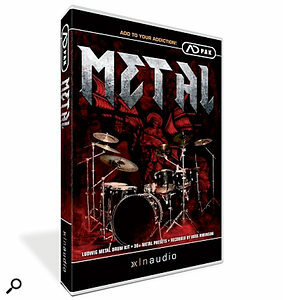 The Metal ADpak is XLNaudio's latest add-on for their drum-sample instrument, Addictive Drums. 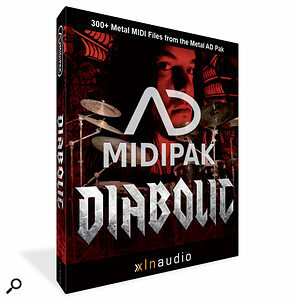 The ADpak features detailed sampling of a Ludwig drum kit by metal specialist Ross Robinson (his credits include Korn, Slipknot and Sepultura) and the company have also released a complementary MIDIPak with the soft and fluffy title of Diabolic, which provides a collection of 300 MIDI patterns recorded for use with the Metal ADpak sounds. This was my first encounter with Addictive Drums (reviewed by SOS in the July 2007 issue), but I have to say that I'm hugely impressed. It seems to combine all the essential features required for full-on drum production without being a resource hog. And, at about 600MB for the full Metal library, the sample sets are also compact by modern drum sample-library standards. Of course, this wouldn't matter a jot if the Metal drums sounded like a five year-old playing a set of cooking pots, but they don't. The ADpak is supplied with some 30 presets designed by a range of metal musicians and producers that take the kit and apply various mix and effect-setting combinations within the Addictive Drums mix environment. The results are hugely impressive and, given that this is just a single kit, the various presets are sonically diverse. While there are some skull-crushing kicks and eardrum-ripping crash cymbals to be had, a good number of the presets would work equally well in any rock-music context. The basic snare sound is crisp but has plenty of depth and, with the various processing options offered by AD, can easily be tweaked to taste. The sampling itself is top-notch and all the drums have excellent depth and dynamics. The library also includes four different 'trig' sounds, which can give the attack of the kick and snare a real extra edge — very effective for many metal styles, which feature intense kick-drum work. Unless you are a pretty competent metal drummer, I suspect the Diabolic MIDI Pak ought to be purchased alongside the samples, as programming patterns as good as these would be a lot of work. The playing is fabulous — tight, crisp and pretty full-on — and, for non-drummers wanting to add some convincing metal drums to their productions, this is a great resource. Indeed, your guitar-playing had better be good, because otherwise your virtual drummer is going to show you up. 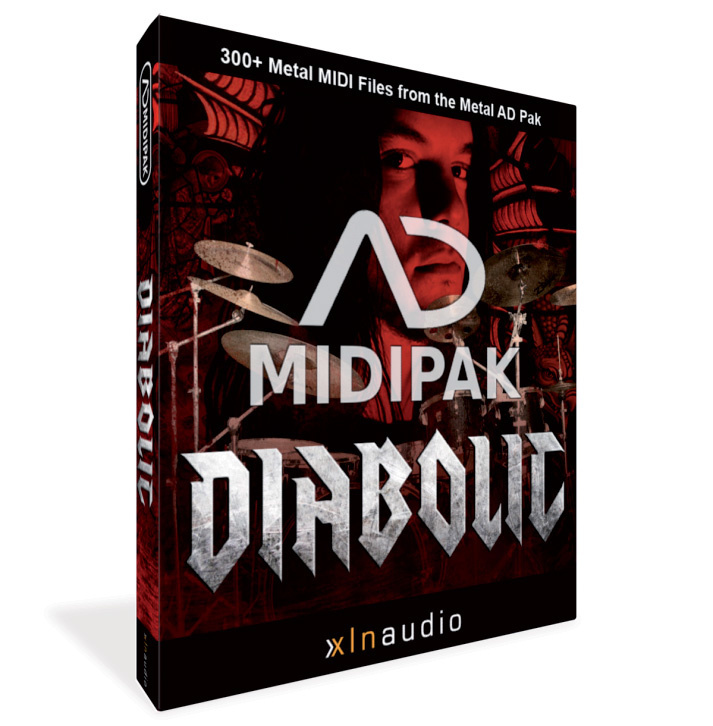 Metal ADpak $59, Diabolic MIDI Pak $25.